COLUMBIA, S.C. – The S.C. Department of Natural Resources (DNR) will host a series of free outdoor family events around the state. 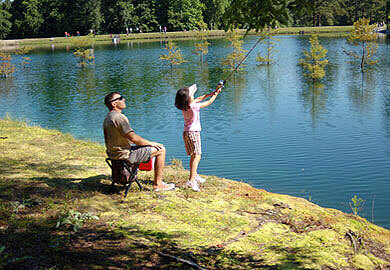 Youth ages 6-15 are encouraged to sign up for a fishing rodeo with specific times for most events to be determined. Youth ages 6-15 must be accompanied by and adult and no adult fishing will be allowed. Pre-registration is required and limited spaces are available. Register online or call (803) 737-8483. Sign in occurs 15-30 minutes prior to the session start time. Bring your own fishing equipment and tackle. Bait may be provided at some of the rodeos. No minnows or artificial lures allowed. Anglers can catch and keep, but an event specific creel limit will be in place. Call (803) 737-8483 for additional information.